DEVIALET APP Don't be tame. Take control. Power this unreasonable requires some control. That's why we developed the new Devialet app – a smart and intuitive companion that puts you in charge of your listening experience. Start to finish. Whether you’re looking to install Phantom Reactor for the first time, or run your setup seamlessly from a distance, take command of unreasonable sound. With regular performance upgrades and new features to keep Phantom Reactor first-rate, this is just the beginning. The journey from start to music has never been this quick – or seamless. Install and set up your Phantom Reactor in a matter of easy steps to enjoy the best audio experience. 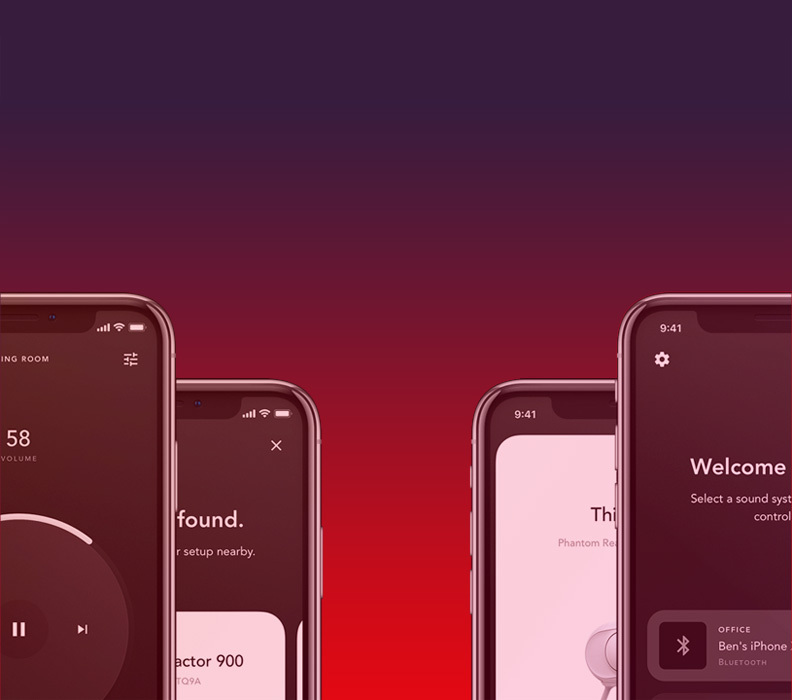 By connecting Phantom Reactor to your Wi-Fi network, you'll be able to access all your favorite music streaming services in high quality. Stream on, streamer. In-app touch-control volume puts the power in your hands. Handle Phantom Reactor absolute precision, wherever you are in the room. Regular updates and features keep Phantom Reactor tuned to tomorrow – and you on your toes. RIP, planned obsolescence.